← WC DART meeting Cancelled 3/5/15….Winter Weather Advisory! 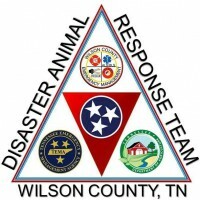 April 9, 2015 at 6:30 pm the WC DART Team is having a Training Meeting in the Gentry Building at the James E Ward Ag Center, Lebanon TN. Dr Travis Whitlow will be speaking on Barn Fires, Equine First Aid and Safety. New Volunteers and Equine enthusiasts are welcome to attend this fun and informative training. This information will come in handy at home and in the field! See you there!